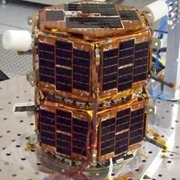 Project ELaNa, NASA’s “Educational Launch of NanoSat” managed by the Launch Services Program at the Kennedy Space Center, announced on February 10 that the AMSAT Fox-1 cubesat has been selected to join the program. AMSAT will work with NASA in a collaborative agreement where NASA will cover the integration and launch costs of satellites deemed to have merit in support of their strategic and educational goals. AMSAT teamed with the ARRL to write and deliver the 159 page educational proposal to NASA. Letters documenting the importance of AMSAT’s satellites in the education programs at the ARRL and also at the Clay Center for Science and Technology at the Dexter and Southfield schools in Brookline, MA, were important parts of our proposal. 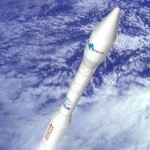 Vega is scheduled to launch on February 13, at 1000 UTC with eight student built amateur radio satellites. 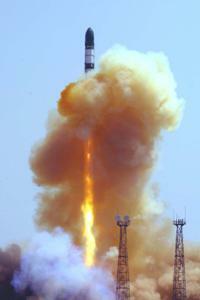 Internet video streaming of the launch will be available. T0+ 4245.30secs 1st PPOD, with XatCobeo, e-st@r, and Goliat. T0+ 4255.30secs 2nd PPOD, with Robusta, MaSat-1 and PW-Sat. T0+ 4265.30secs 3rd PPOD, with UniCubeSat. The Cubesats will not deploy their antennas until 1800 seconds after they leave their PODS. 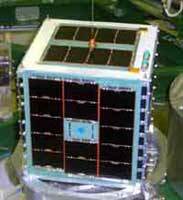 It is not known how soon AlmaSat-1 will start transmitting after deployment. The university cubesat teams welcome reception reports. All observers are invited to submit reports via amsat-bb and to also join the CubeSat Internet Relay Chat channel to pass on their news and comments in realtime. You will need an IRC client such as the ChatZilla addon for FireFox or mIRC to join the cubesat chat. Connect to the irc.freenode.net server. Once connected to the server the /join #cubesat command will bring you into the channel. Many users set their chat nickname to “name_callsign”. 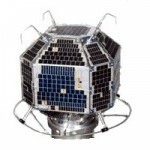 Starting Monday Morning (Dec 26, 2011), I will be trying to recover PCSAT. We need everyone to not use it until we give up. Just one single packet from a user during a pass will easily kill that pass’s chance of recovery. We only get one single packet chance per pass for recovery. Only when the call PCSAT-1 is readable in the beacon, the digipeater is active. So everyone, turn off those automatic beacons via PCSAT until further notice. JJ1ZUU tweet indicates FO-29 may resume operations soon, probably scheduled. Details will follow and the schedule propably be announced. The FASTRAC satellites have been in operation for more than a year and the team has been able to get a lot of data from them, in great part due to the amazing support from the amateur radio community. Over the last month the team noticed that one of FASTRAC-1’s on board microcontrollers which controls one of the experiments has not been booting up correctly. The team has done everything possible to correct this issue apart from turning it off which can only happen if the batteries fall below an specific charge level. Since the satellites have been power positive throughout this whole year the only way this can happen is if the satellites transmit more often. Given that one of FASTRAC goals has always been to eventually provide a platform for amateur radio enthusiasts to use after the primary mission was over, the team has decided to open up FASTRAC-1 to the amateur radio community with the hope as more people use it to digipeat through the satellite, the battery levels will diminish and cause a hard reset of the microcontrollers on board. The satellite will be configured so that amateur radio operators can use it beginning on Friday Dec 2 at 10:00 AM CST. Starting on this date people will be able to digipeat through the satellites. The call sign and frequencies of the satellite are summarized below and an example of digipeating through the satellite is also shown in below. To increase the chances of causing a hard reset, it is requested that as many amateur radio enthusiasts try to digipeat through the satellite on the weekend of Dec 10. If you are successful at digipeating through the satellites or have any problems doing so please let us know at fastracsats@gmail.com, through our Facebook page (www.facebook.com/fastracsats) or through the forums on our website(http://fastrac.ae.utexas.edu/for_radio_operators/users/phpBB3/index.php). Here the example shows KE5DTW (UT Austin Ground Station) digipeating through FAST1 to connect to CALLSIGN. CALLSIGN represents an arbitrary callsign and should be replaced with the callsign of the station with whom a connection is being attempted. The above example is based on a Kantronics KPC9612+ TNC. It is with a heavy heart I report that AO-51 has ceased transmission and is not responding to commands. The last telemetry data indicated that the third of six batteries was approaching failure to short, and observations indicate the voltage from three cells is insufficient to power the UHF transmitters. The IHU may continue to be operative. Initial tests with the S band transmitter were also not positive, although more attempts are in order. We have tried leaving the satellite in an expected state where if voltages climb high enough, the 435.150 transmitter may possibly be heard. The command team will regularly attempt communications with the satellite over the coming months (and years). There is always the possibility that a cell will open and we could once again talk to our friend while illuminated. Thanks to all who helped fund, design, build, launch, command, and operate AO-51. It’s 7 year mission has been extraordinary. Please support AMSAT’s Fox-1 project, and other AMSAT projects worldwide with your time and money.